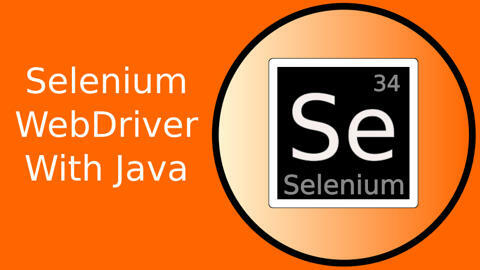 This page contains frequently asked questions relating to the Selenium 2 WebDriver course. We try to answer questions via email, but this page lists the main questions we are asked. Can I use Eclipse with the course? Can I learn Java with the course? Does the course have a certificate of completion? Will you help me with my day to day work project? I recommend using IntelliJ because I think it is the better editor and beginners have fewer problems getting started with IntelliJ than eclipse. But if you have a working Eclipse setup, with maven, then you an follow along with the course. After all, Eclipse and IntelliJ are just IDEs, the course really teaches WebDriver with Java. There will be sections in the videos where I describe features of the IntelliJ IDE to make your development life easier. Eclipse may well have equivalent functionality, but you will have to use the help files that come with Eclipse to identify it. The course instructor can't support you with Eclipse. But all the code and basic principles should work in Eclipse. Some people start the course with minimal programming experience, and do learn Java as they work through the course. Some people find that they don't have enough programming experience and don't. If you use the above strategies when learning then you probably can learn Java by working through this course as you will have plenty of practical experience using Java on the exercises. But note... in order to keep the course size down (it already runs to at least 15 hours of video), we don't have tutorials on Java in this course. If you need a more structured approach to learning Java, then that is exactly why Alan Richardson wrote the companion book " Java for Testers", and made it as affordably priced as possible. Java For Testers, does teach Java, and does teach it using tutorial explanations and exercises. Again that depends on the student. I estimate that if you dedicated a week full time (5 days, at 8 hours a day) to the course, then you'd have a pretty good chance of watching all the videos, and working through all the exercises. Some people take longer if they have less coding or automation experience. But the course is structured such that you learn how to use the tool productively for simple tests, very early on. And then we build on that, over the course to make your tests more flexible and robust. The course is self-paced. You work through it, when you have time, at your own pace. You have lifetime access to the course, so you can take as long as you need to finish the course. No. There is no 'final exam'. And the cost of the course does not include the time it would take to properly administer a practical test to evaluation completion. We do not provide automatically generated certificates of completion, because we do not consider that these have any value. The support on this course, is for the source material and the exercises. If you have general questions related to the lectures then we will do our best to answer them, so that you more fully understand the material, or help us identify gaps in our training material. We can not support you with your day to day work. Our aim is to train you so that you can handle the problems provided on your day to day work. Last modified:July 25 2016 15:12:03.